Hi! South Florida has definitely been the place to be recently for all tennis enthusiasts around the world. 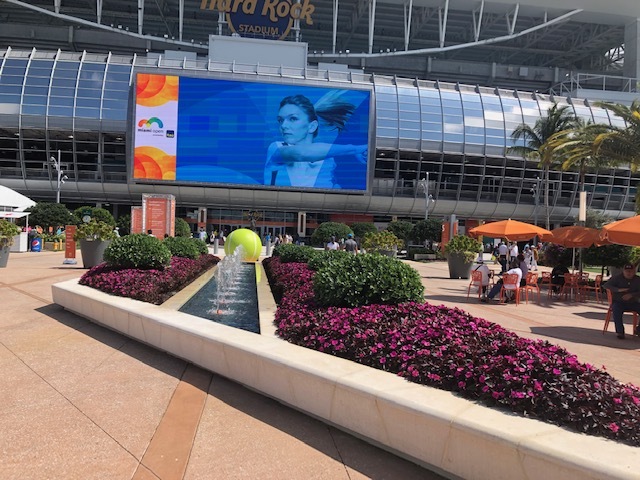 This is the first year that the Miami Open is being held at Hard Rock Stadium, and it is really exciting to see what they have done to the stadium and grounds to transform it into a world-class tennis event. The grounds are beautiful and include a lot of astroturf and cool seating areas. Demi and I were fortunate to be able to go for the day last Wednesday and had an amazing time. We arrived around 10:00 am and were able to get a great parking spot right in the front. When we entered we were in awe of the gorgeous landscaping and many fountains. When we looked up we saw a huge monitor overlooking an area with many restaurants and shaded spots to sit. Besides watching what was on the monitor, the people watching was equally entertaining. I have honestly never seen so many exquisitely dressed women at any sporting event! We loved our lunch at the Mexican pavilion and our decadent crepe we shared for dessert. 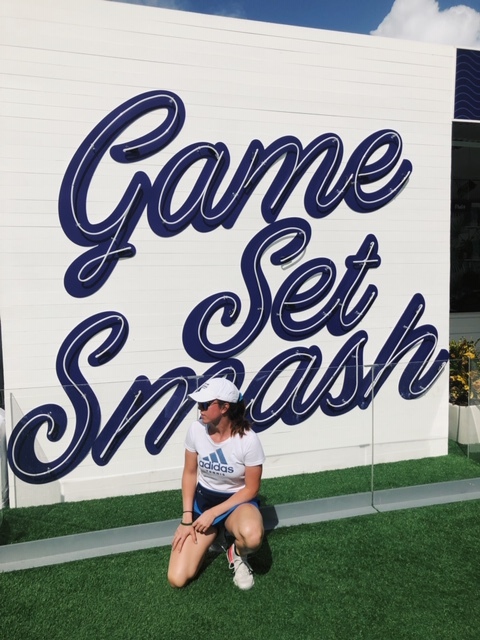 Watching Simona Halep win in the stadium was super inspiring for Demi and fun for me. My favorite part of the day was dining on sushi in the Moet Chandon restaurant and, of course, treating myself to a glass of refreshing champagne before we headed home. It is so nice to have my Duber (Demi plus uber;) drive! It used to take us over an hour at the very least to get to the Open when it was in Key Biscayne but now it is only about a 25-minute drive from Lago Mar. We are so lucky to live in such a fabulous part of the country!